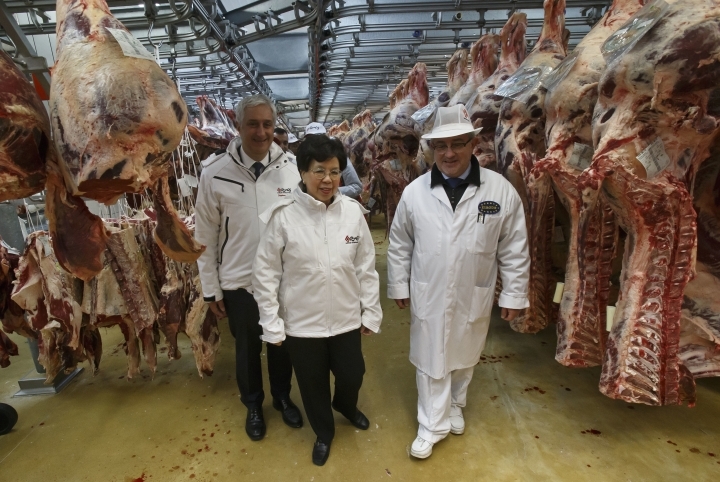 LONDON — Dr. Margaret Chan, director-general of the World Health Organization, traveled to Guinea earlier this month to join the country's president in celebrating the world's first Ebola vaccine. 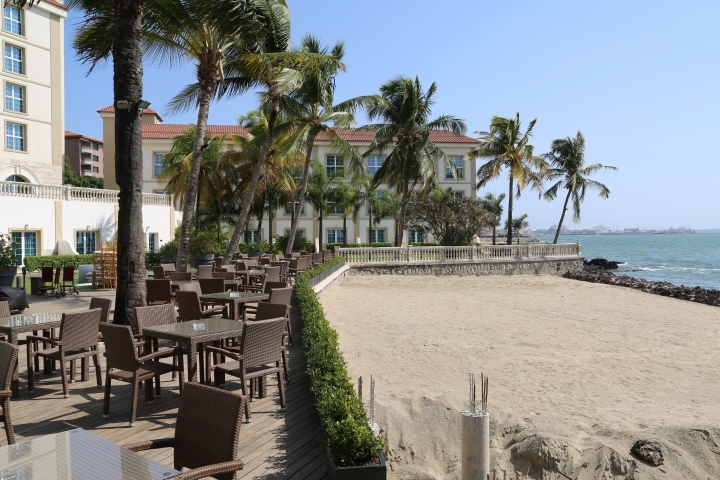 After praising health workers in West Africa for their triumph over the lethal virus, Chan spent the night in the top-tier presidential suite at the beach-side Palm Camayenne hotel. The suite, equipped with marble bathrooms and a dining room that seats eight, has an advertised price of 900 euros ($1,008) per night. Some say such luxurious accommodations send the wrong message to the rest of WHO's 7,000 staffers. According to internal documents obtained by The Associated Press, the United Nations health agency routinely has spent about $200 million a year on travel expenses, more than what it doles out to fight some of the biggest problems in public health, including AIDS, tuberculosis and malaria combined. Last year, WHO spent about $71 million on AIDS and hepatitis. It devoted $61 million to malaria. 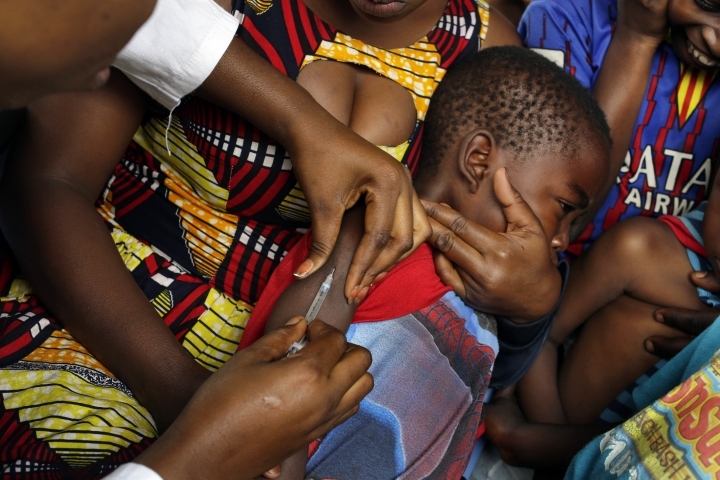 To slow the spread of tuberculosis, WHO invested $59 million. Still, some health programs do get exceptional funding — the agency spends about $450 million trying to wipe out polio every year. WHO declined to say if it paid for Chan's stay at the Palm Camayenne in Conakry, but noted that host countries sometimes pick up the tab for her hotels. At a time when the cash-strapped health agency is pleading for more money to fund its responses to health crises worldwide, it has struggled to get its travel costs under control. Senior officials have complained internally that U.N. staffers break new rules that were introduced to try to curb its expansive travel spending, booking perks like business class airplane tickets and rooms in five-star hotels with few consequences. "We don't trust people to do the right thing when it comes to travel," Nick Jeffreys, WHO's director of finance, said during a September 2015 in-house seminar on accountability — a video of which was obtained by the AP. Despite WHO's numerous travel regulations, Jeffreys said staffers "can sometimes manipulate a little bit their travel." The agency couldn't be sure people on its payroll always booked the cheapest fares or that their travel was even warranted, he said. "People don't always know what the right thing to do is," Jeffreys said. Ian Smith, executive director of Chan's office, said the chair of WHO's audit committee said the agency often did little to stop misbehavior. "We, as an organization, sometimes function as if rules are there to be broken and that exceptions are the rule rather than the norm," Smith said. Earlier that year, a memorandum was sent to Chan and other top leaders with the subject line "ACTIONS TO CONTAIN TRAVEL COSTS" written in capital letters. The memo reported that compliance with rules requiring travel to be booked in advance was "very low." The document also pointed out that WHO was under pressure from its member countries to save money. Travel would always be necessary, the memo said, but "as an organization we must demonstrate that we are serious about managing this appropriately." In a statement to the AP, the U.N. health agency said "the nature of WHO's work often requires WHO staff to travel" and that costs were reduced 14 percent last year compared to the previous year — although that year's total was exceptionally high due to the 2014 Ebola outbreak in West Africa. But staffers still are openly ignoring the rules. An internal analysis in March, obtained by the AP, found that only two of seven departments at WHO's Geneva headquarters met their budget targets and concluded that the compliance rate for booking travel in advance was between 28 and 59 percent. Since 2013, WHO has paid out $803 million for travel. WHO's approximately $2 billion annual budget is drawn from the taxpayer-funded contributions of its 194 member countries; the United States is the largest contributor. After he was elected, U.S. President Donald Trump tweeted : "The UN has such great potential," but had become "just a club for people to get together, talk, and have a good time. So sad!" Some health experts said while WHO's travel costs look out of place when compared to some of its disease budgets, that doesn't necessarily mean the agency's travel expenses are inflated. Michael Osterholm, an infectious diseases expert at the University of Minnesota, has frequently been flown to WHO meetings — in economy seating — at the agency's expense. "This may just speak to how misplaced international priorities are, that WHO is getting so little for these disease programs," Osterholm said. WHO said that nearly 60 percent of its travel costs were spent on sending outside experts to countries and for representatives from member countries to attend their meetings, according to a press statement issued Sunday. 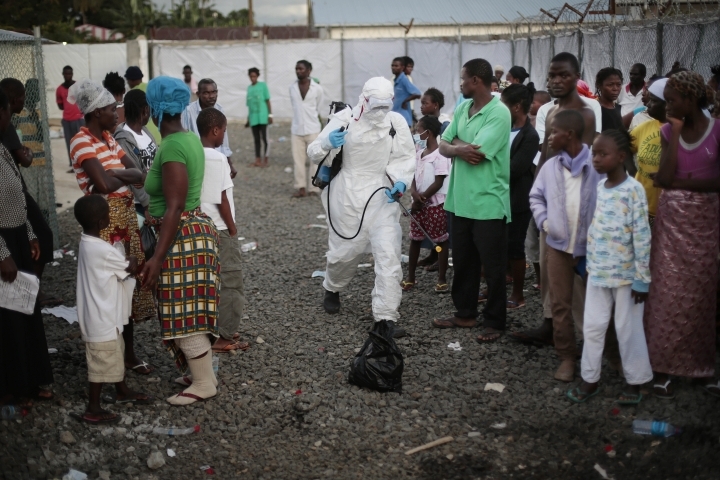 During the Ebola disaster in West Africa, WHO's travel costs spiked to $234 million. Although experts say on-the-ground help was critical, some question whether the agency couldn't have shaved its costs so more funds went to West Africa . The three countries that bore the brunt of the outbreak couldn't even afford basics such as protective boots, gloves and soap for endangered medical workers or body bags for the thousands who died. 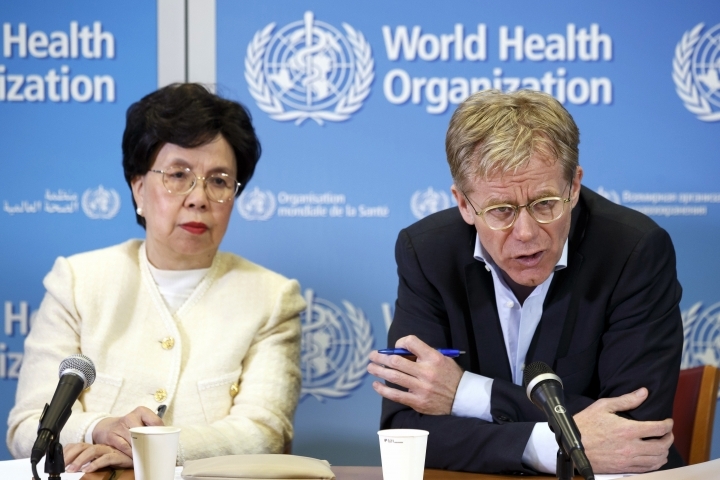 Dr. Bruce Aylward, who directed WHO's outbreak response, racked up nearly $400,000 in travel expenses during the Ebola crisis, sometimes flying by helicopter to visit clinics instead of traveling by jeep over muddy roads, according to internal trip reports he filed. Chan spent more than $370,000 in travel that year, as documented in a confidential 25-page analysis of WHO expenses that identified the agency's top 50 spenders. Aylward and Chan were first and second on that list. WHO declined requests for an interview with Chan; Aylward did not immediately respond to a request for comment. Three sources who asked not to be identified for fear of losing their jobs told the AP that Chan often flew in first class. WHO said its travel policy, until February, "included the possibility for the (director-general) to fly first class." It said Chan flew business class and asked for the policy to be changed to eliminate the first-class option. "There's a huge inequality between the people at the top who are getting helicopters and business class, and everyone else who just has to make do," Sophie Harman, an expert in global health politics at Queen Mary University in London, said. Other international aid agencies, including Doctors Without Borders, explicitly forbid their staff from traveling in business class. Even the charity's president must fly in economy class, a spokeswoman said. With a staff of about 37,000 aid workers versus WHO's 7,000 staffers, Doctors Without Borders spends about $43 million on travel a year. The U.S. Centers for Disease Control and Prevention would not provide its travel costs, but said staffers are not allowed to fly business class unless they have a medical condition that warrants it. The U.N. children's agency UNICEF, which has about 13,000 staffers, said it spent $140 million on global travel in 2016. "When you spend the kind of money WHO is spending on travel, you have to be able to justify it," Dr. Ashish Jha, director of the Global Health Institute at Harvard University, said. "I can't think of any justification for ever flying first class." Jha warned that WHO's travel spending could have significant consequences for fundraising. Several weeks ago, WHO asked for about $100 million to save people in Somalia from an ongoing drought. In April, it requested $126 million to stop the humanitarian catastrophe in Yemen . "If WHO is not being as lean as possible, it's going to be hard to remain credible when they make their next funding appeal," Jha said. Follow Maria Cheng on Twitter @mylcheng.